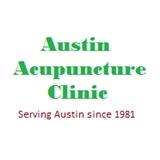 Austin Acupuncture Clinic (Austin) - Book Appointment Online! Dr. Cao took the time to read my history and ask me questions. She is knowledgeable and compassionate - I loved my first visit and definitely returning to see her!